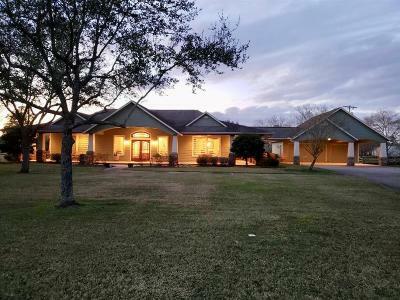 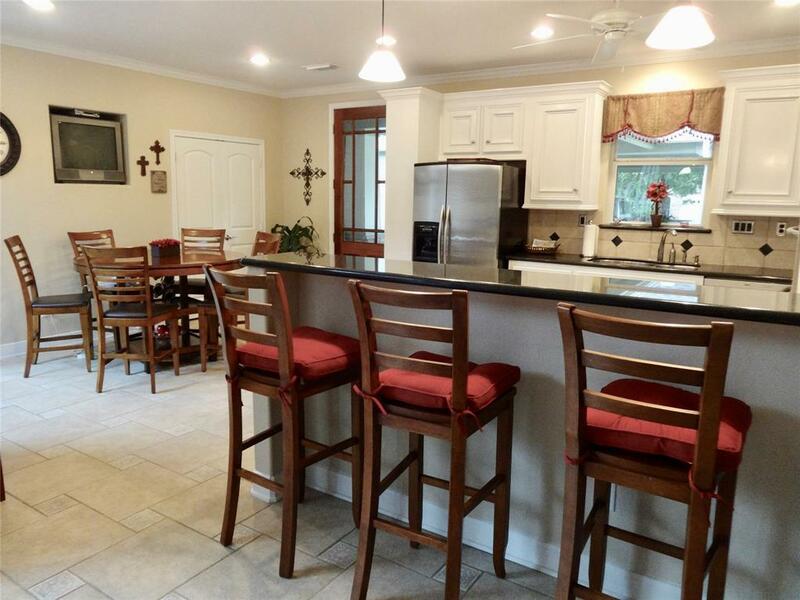 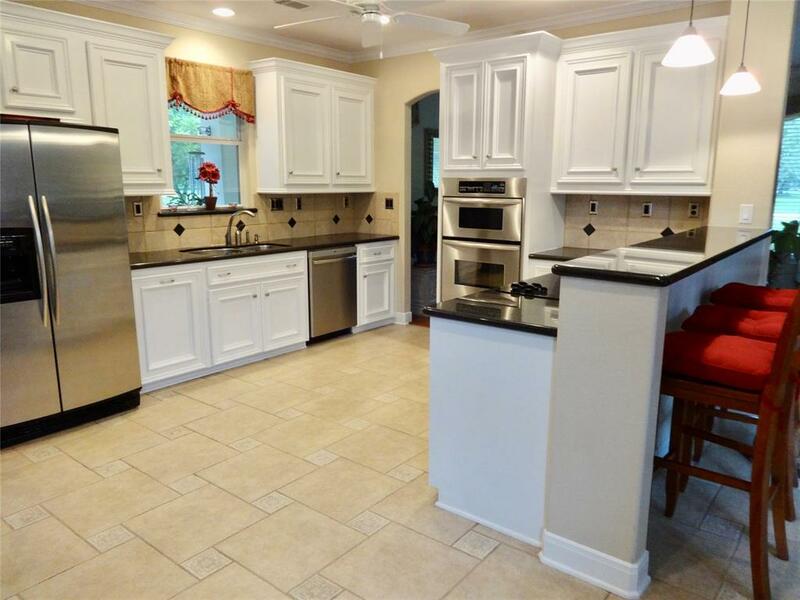 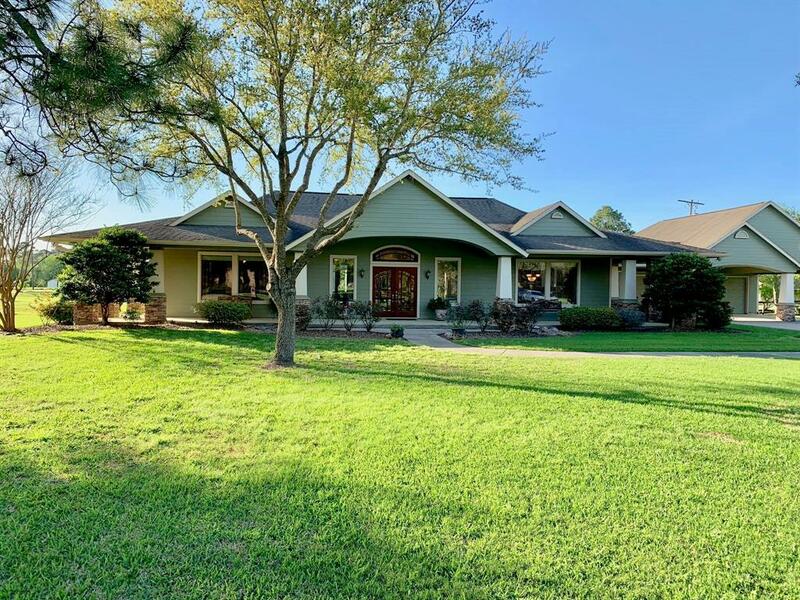 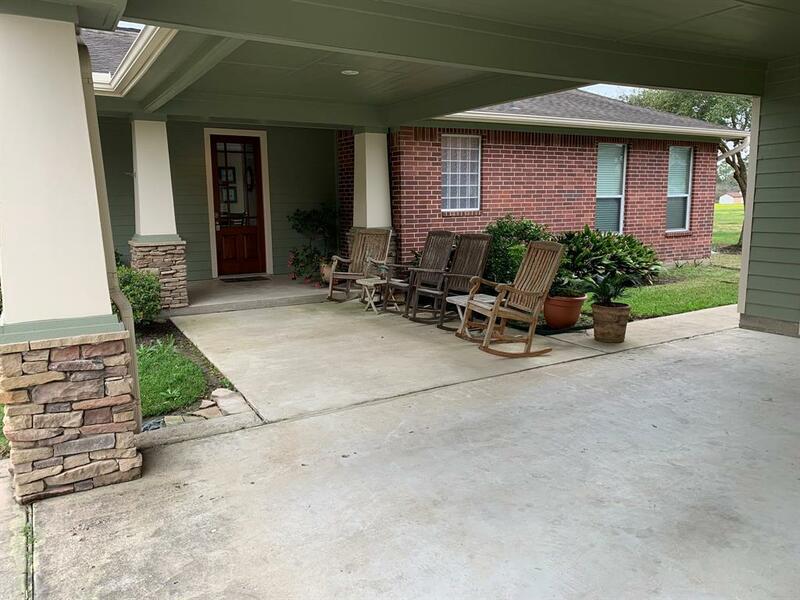 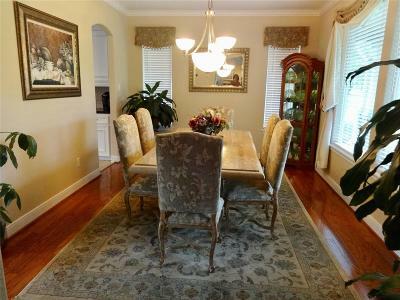 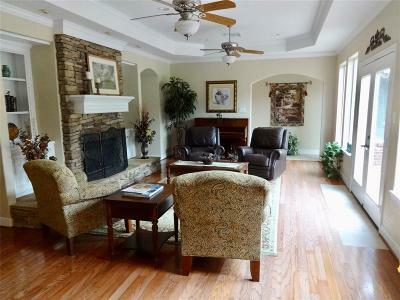 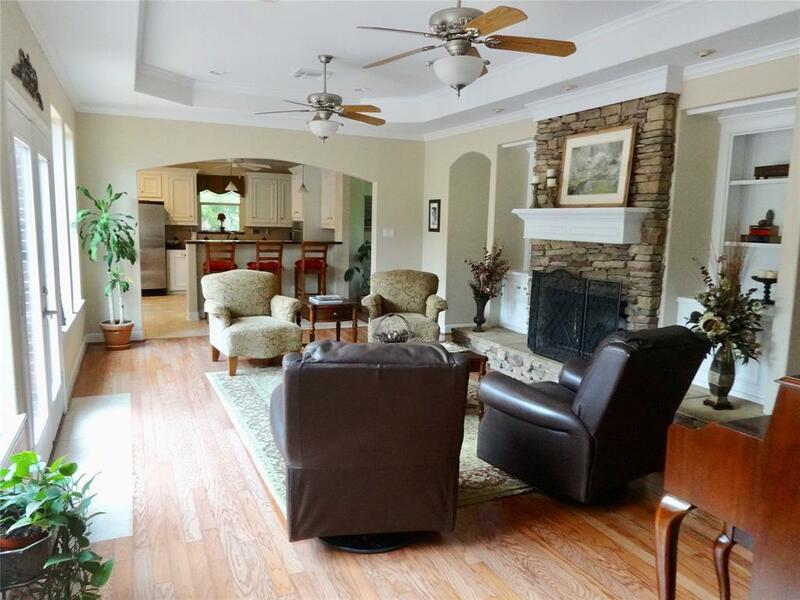 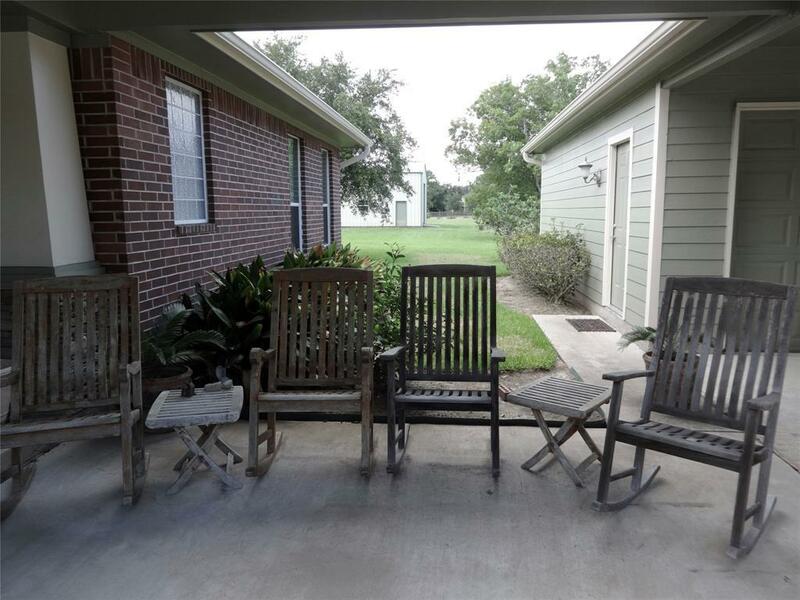 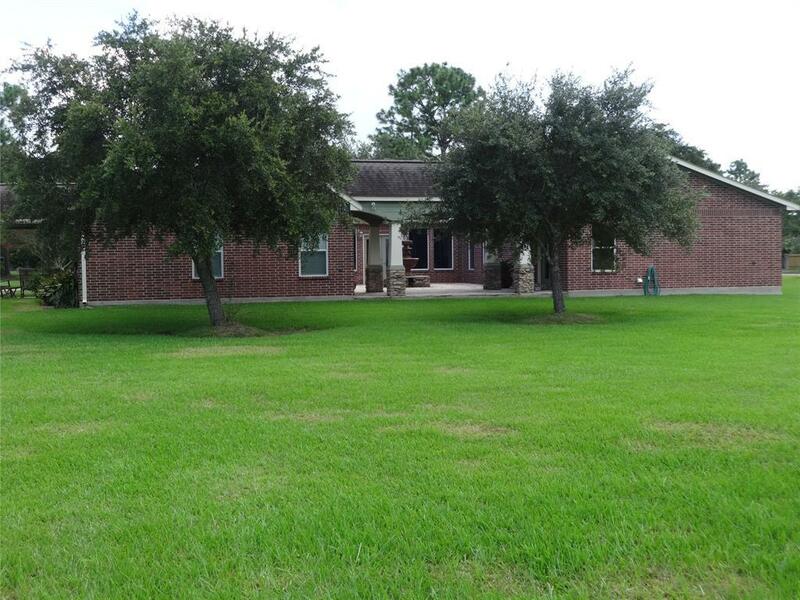 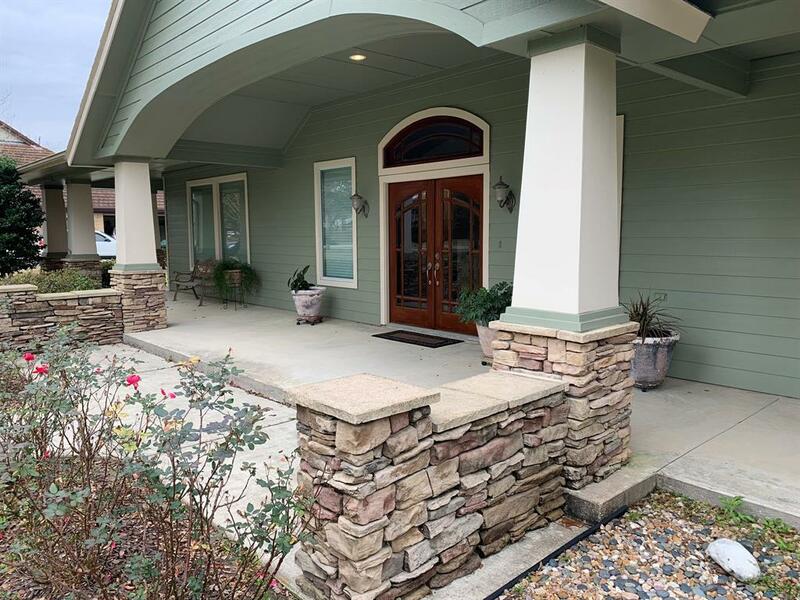 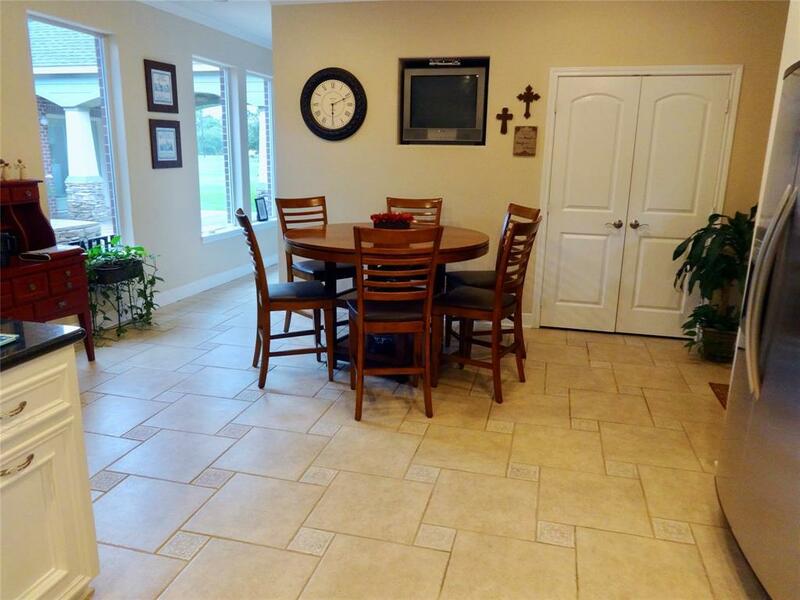 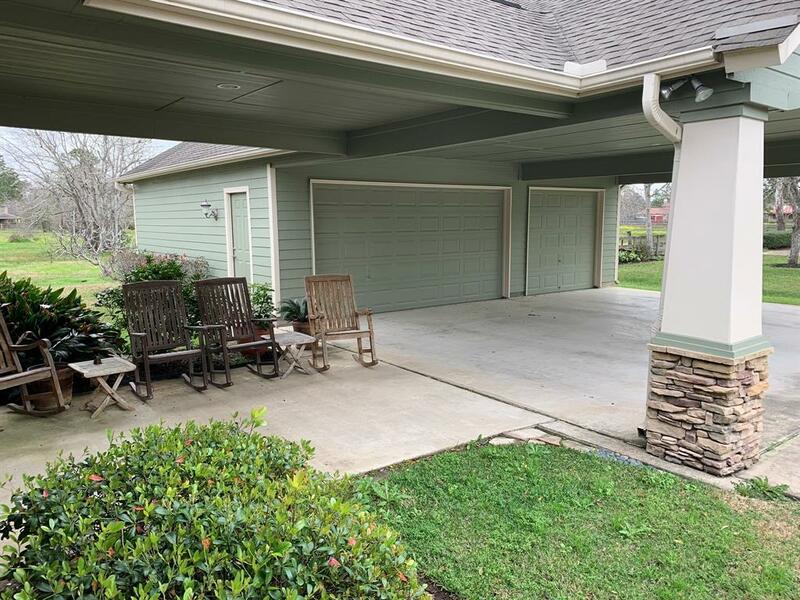 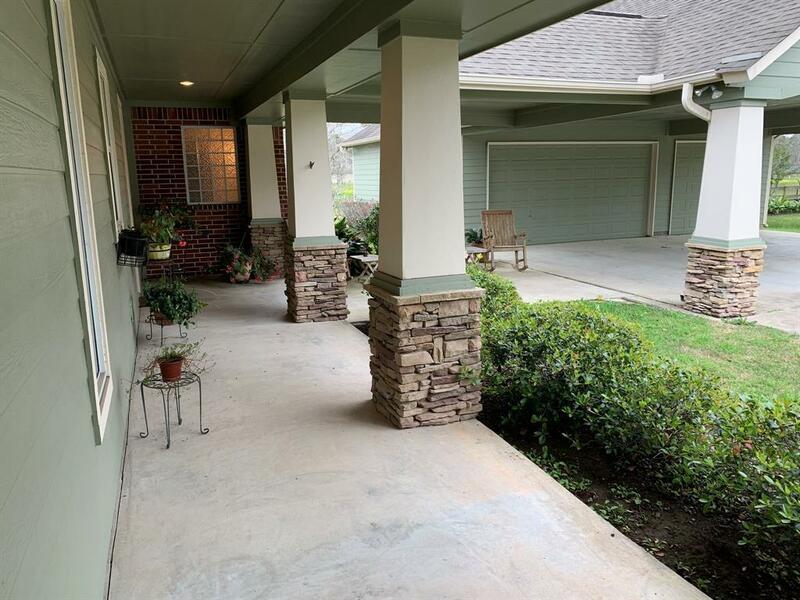 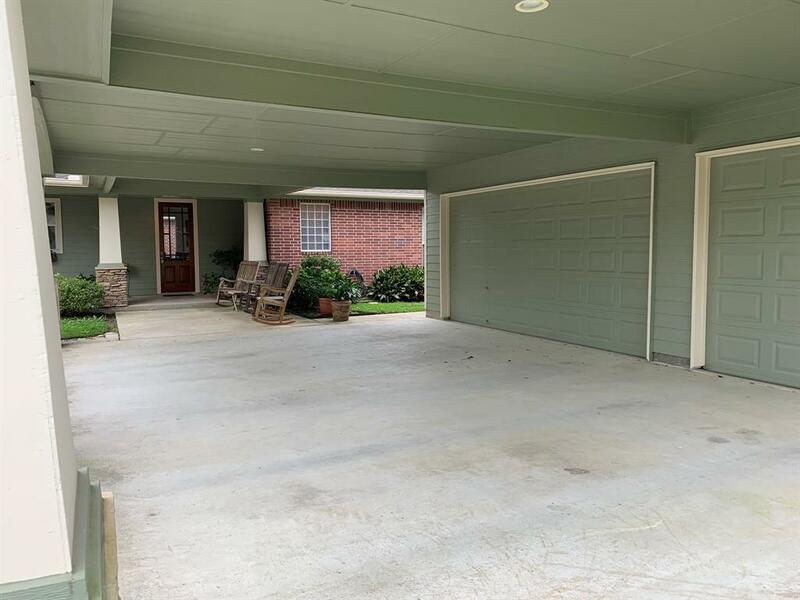 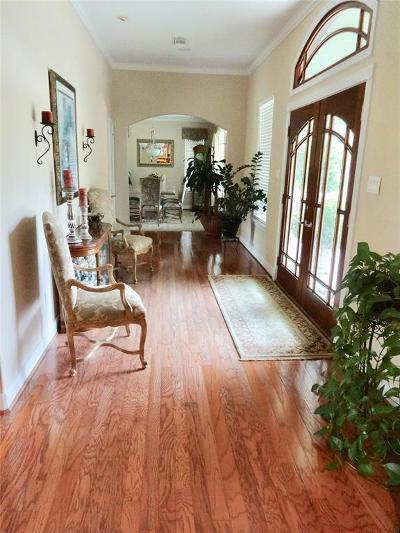 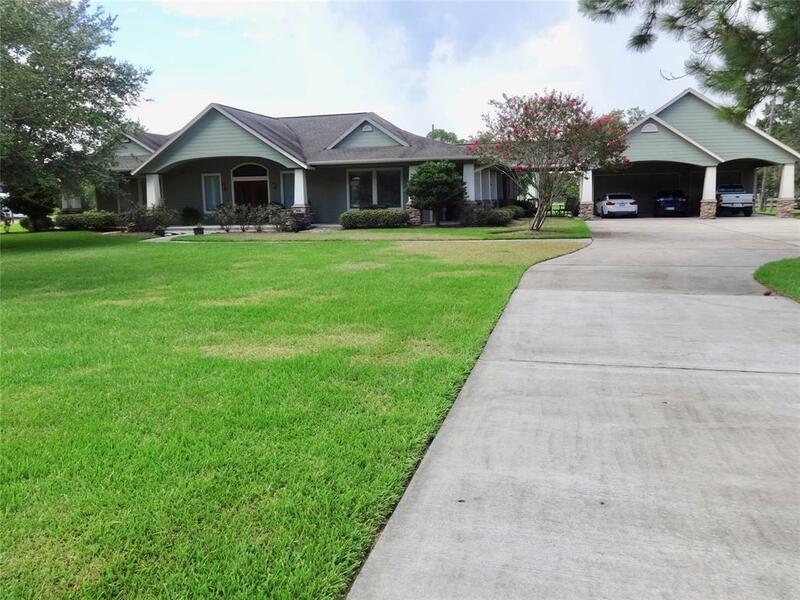 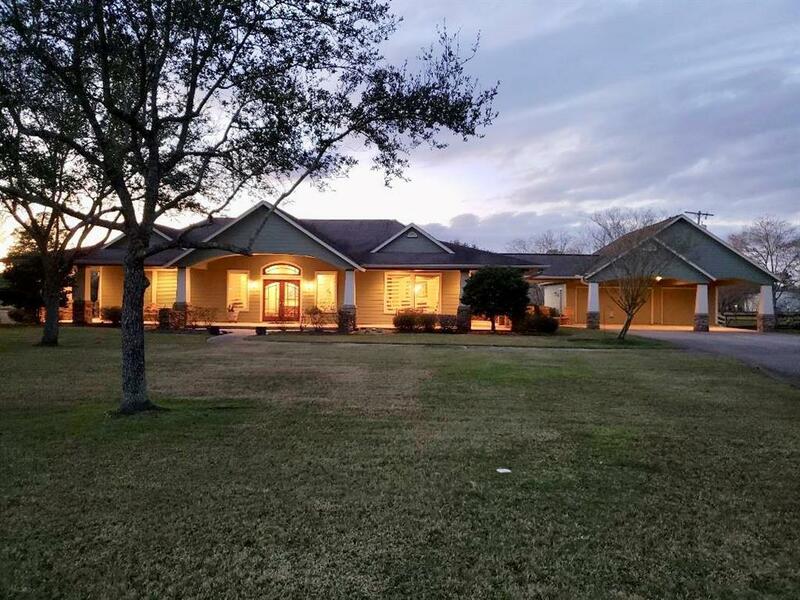 "HEART OF FRIENDSWOOD ON 1.9 ACRES. 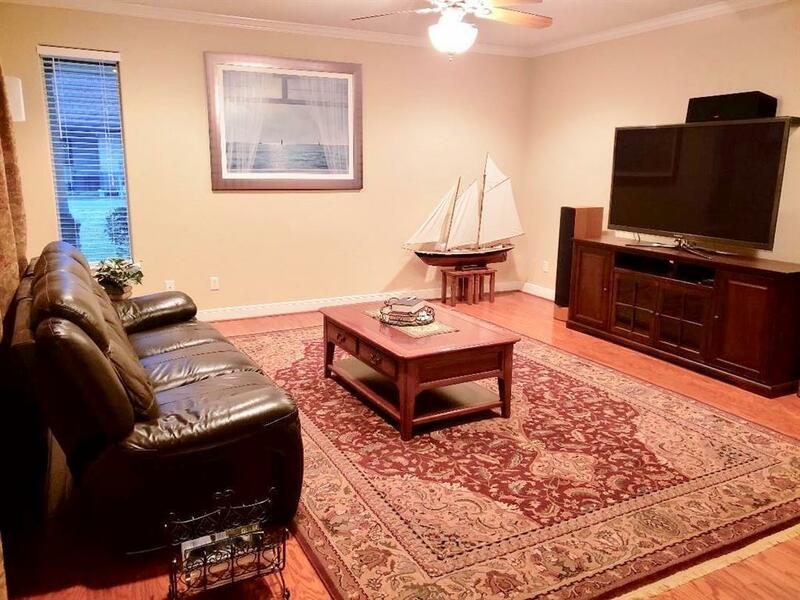 Never Flooded. 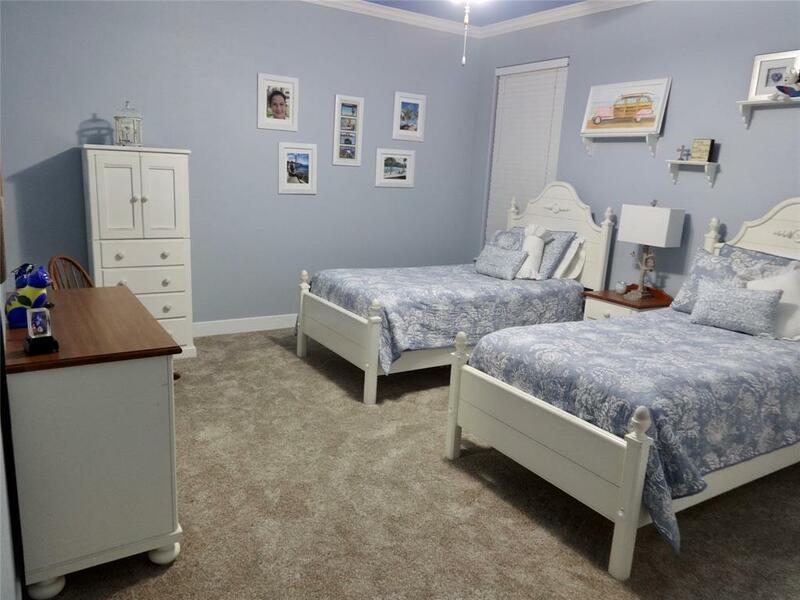 Close proximity to schools on quiet street. 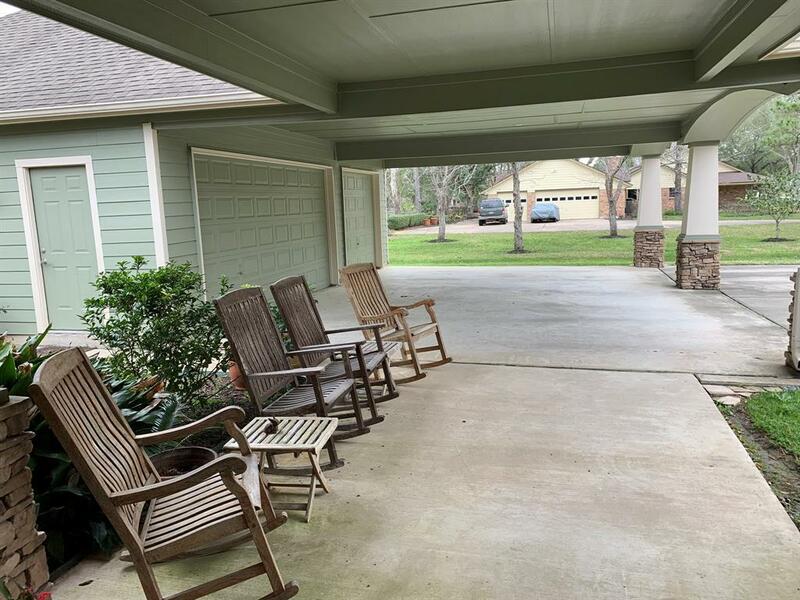 Relax in the cool breeze on the wrap around porch of this Waylyn Custom Built ONE-STORY home. 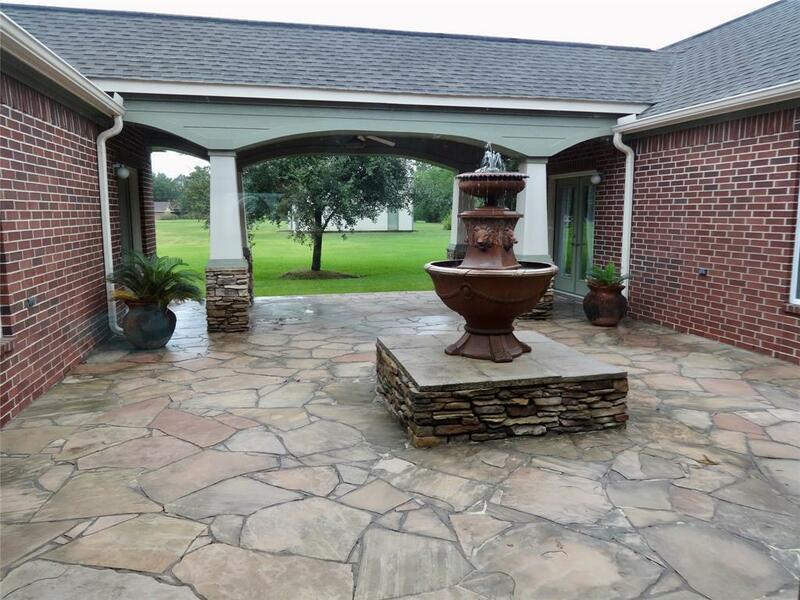 There is a large driveway that will accommodate many guests and an oversized 3-car garage with porte-cochere. 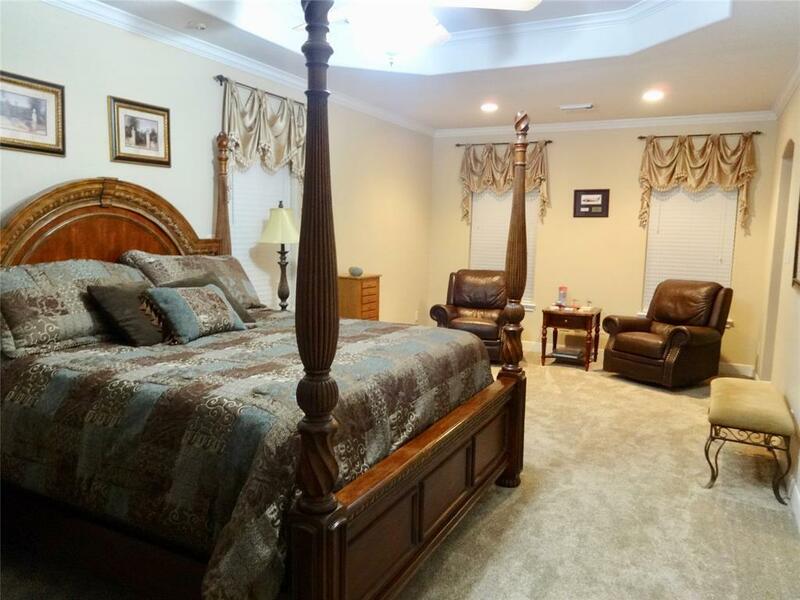 The "U" shaped house provides the master suite to be separated from other spacious bedrooms. 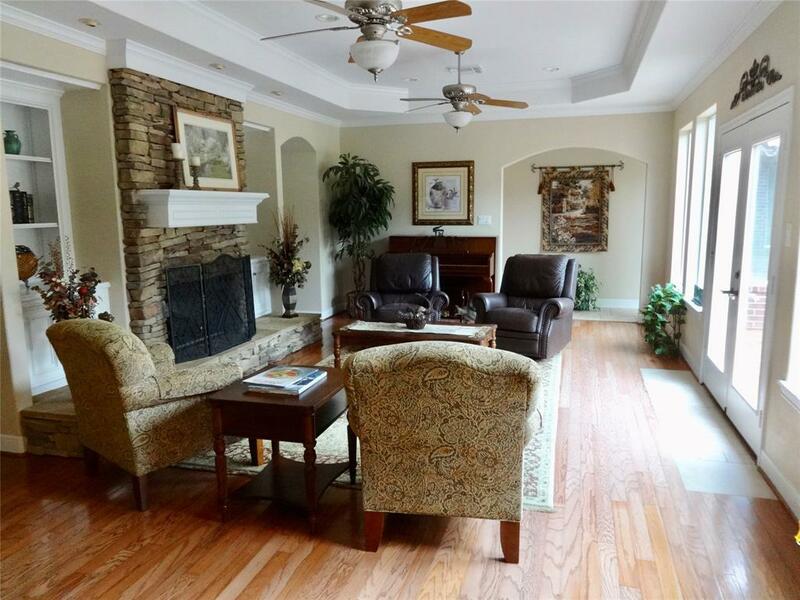 The large walls of double paned picture windows overlook a 30' x 25' slate courtyard in the center. 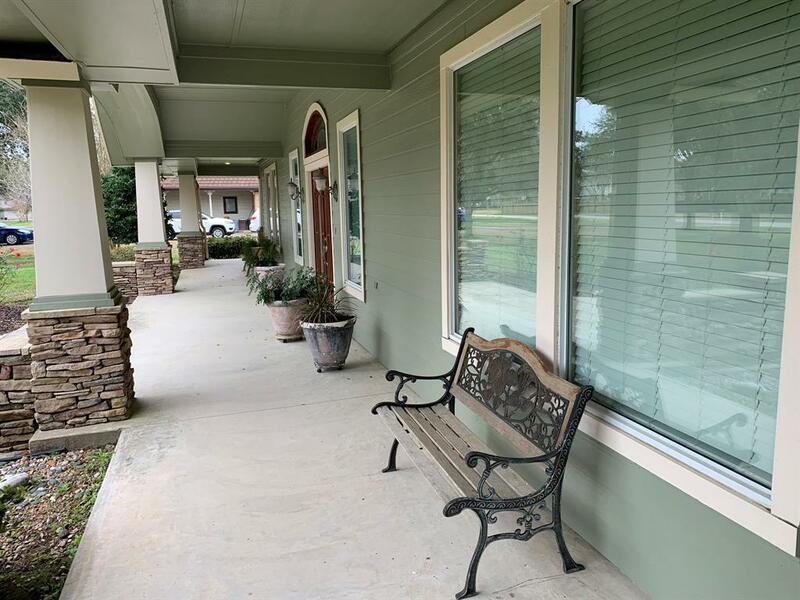 Hardy plank exterior was professionally painted in 2016. 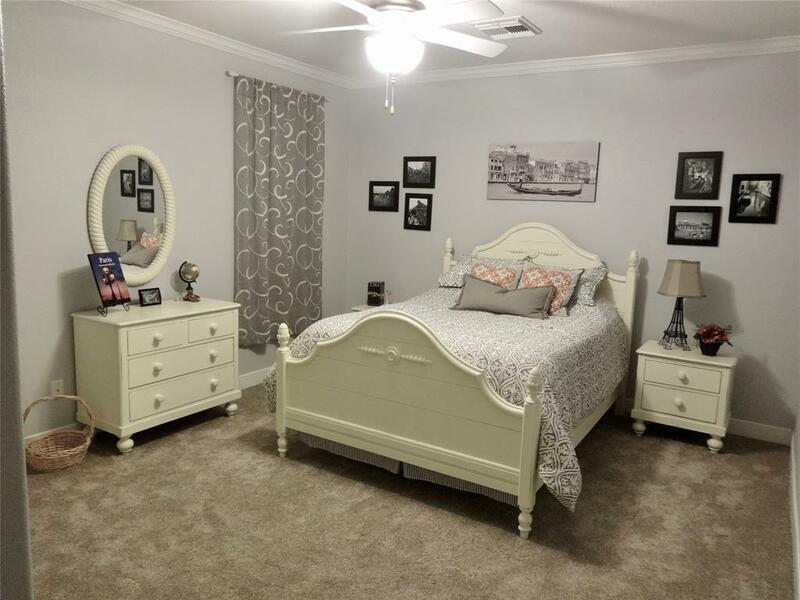 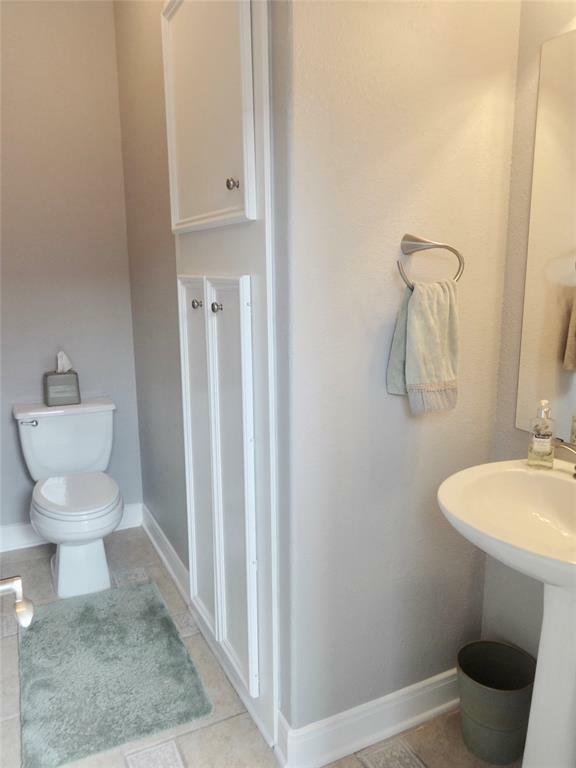 Wood/tile flooring throughout with brand new carpet in bedrooms. 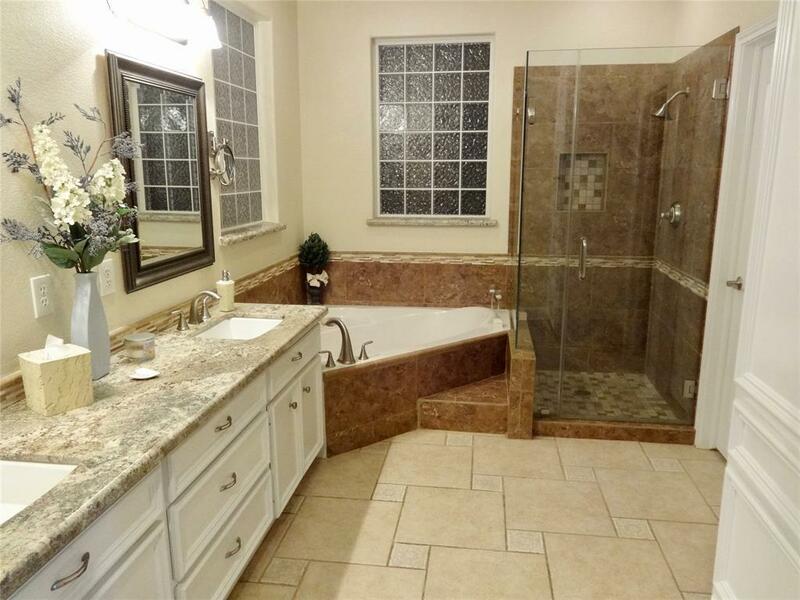 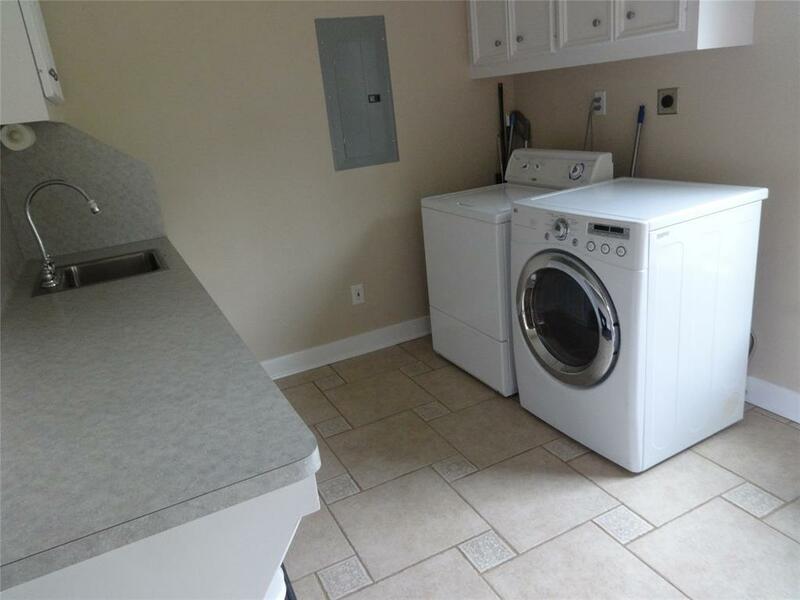 Granite countertops throughout, tall ceilings, custom built in cabinets, large laundry room with folding area and sink. 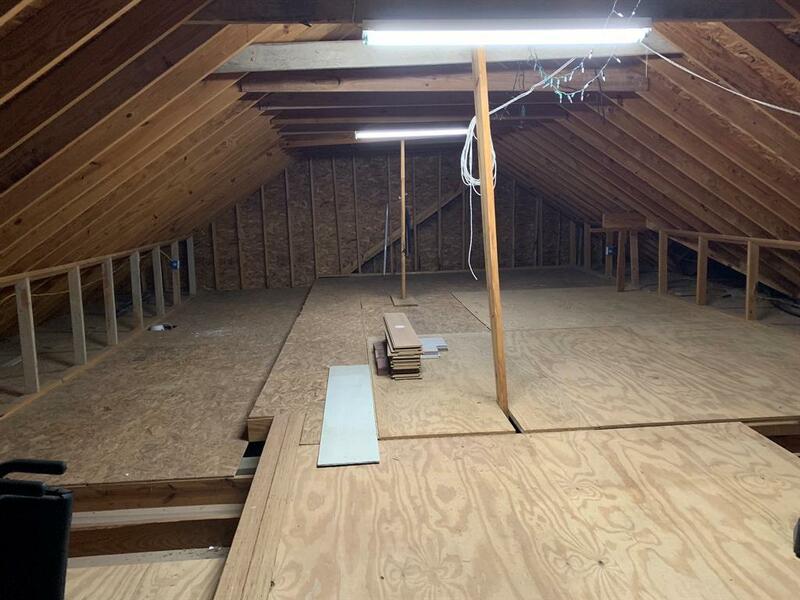 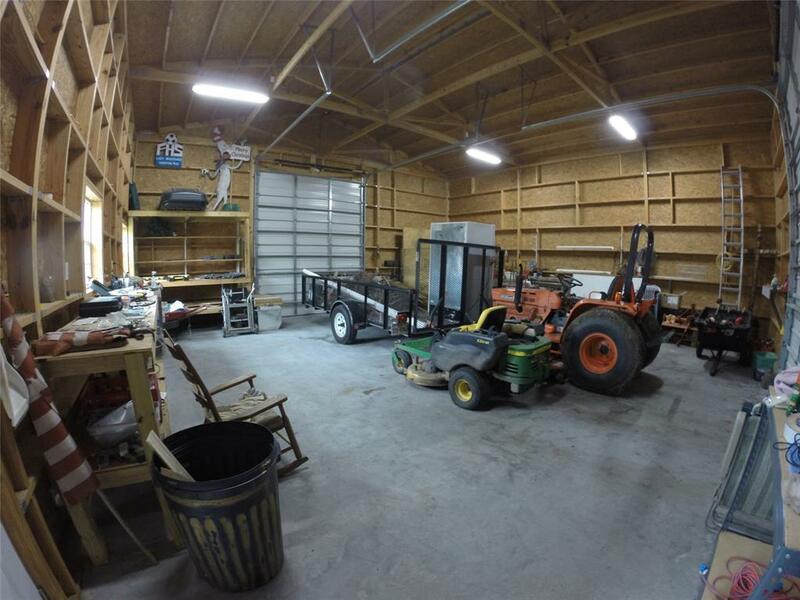 Back acre includes a 32'x32' workshop with 14ft bay doors on each end." 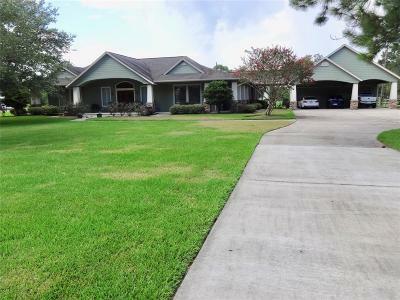 Directions: From 528 Turn Onto Sunset Dr And Left Onto Evergreen Dr. House Is On The Right.